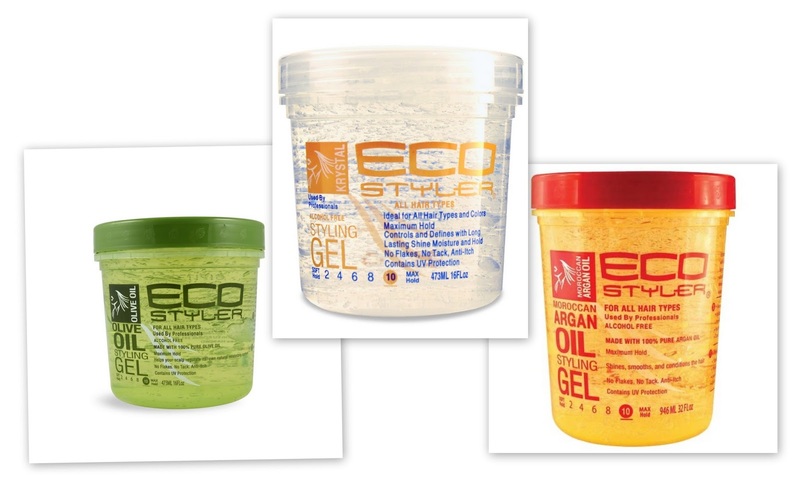 Which Eco Styler Gel Should You Use? Ever since I cut my hair over a month ago, I have relied heavily on a faithful product in the natural hair community, Eco Styler gel. This is a common gel used to define curls for a TWA, to slick edges, form updos and more. Prior to cutting my hair, Eco Styler gel was my go to product to hold my edges down for puffs, slick my hair down for an updo and the occasional wash and go. Now, that my hair is short again, it has become my staple product for wash and gos or my new favorite style, finger coils. One day as I was talking about Eco Styler gel on Facebook, I had a conversation with a friend of mine about the varying types of Eco Styler gel. The conversation made me realize that there are benefits to different types of the gel and it can be as simple as finding out what might work best for your hair. Although no hair type is the same, I wanted to create a simple way for each of you to see the benefits of the three most popular forms of Eco Styler gel, which are Argan Oil, Olive Oil and Krystal. Best for: Wash & Gos, Edges, Puffs, Coils, Curls, etc. 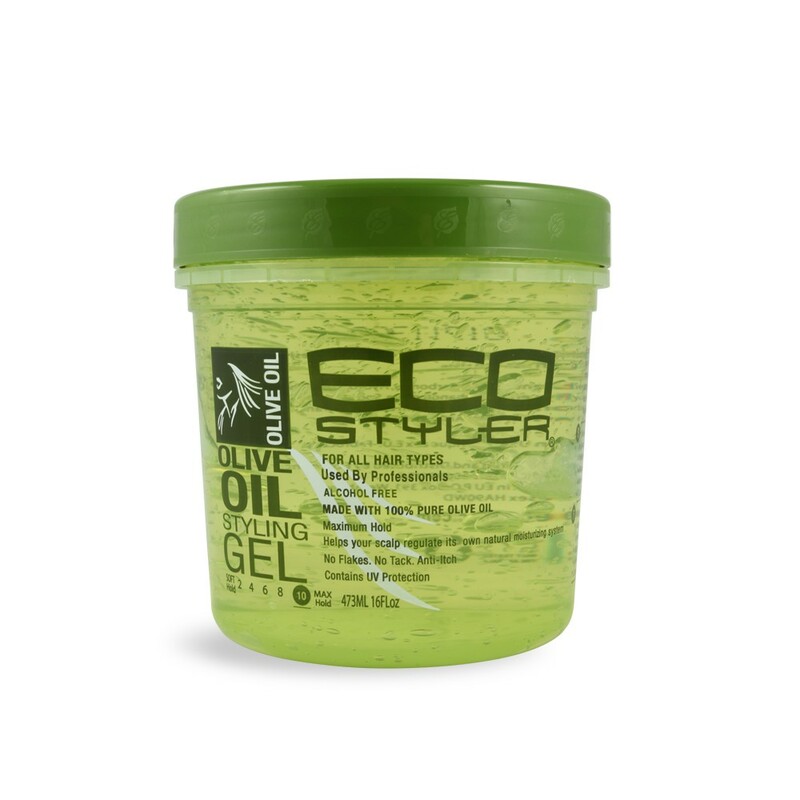 My personal favorite is the Eco Styler Olive Oil gel. It gives a great amount of shine and hold without being hard and no flakes. I also like the Eco Styler Krystal gel for my edges because out of the three, it has the strongest hold, but I try to refrain from using it throughout my hair due to flaking. 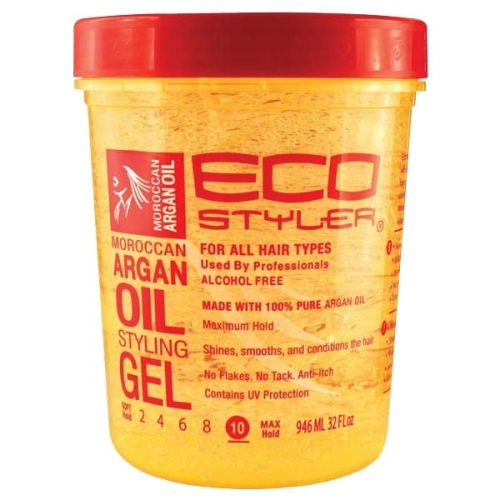 If you are wondering why I haven't mentioned Eco Styler Argan Oil gel, it's simply because it doesn't give enough hold for my hair. If I'm looking for a softer hold, I would use this but I would not get the longevity with hairstyles that I'm looking for. Tip: If you are afraid of flaking, try doing the LOC Method before applying the gel. While my hair is wet, I apply oil, a small amount of leave in conditioner and then the gel. This increases shine and prevents flakes. 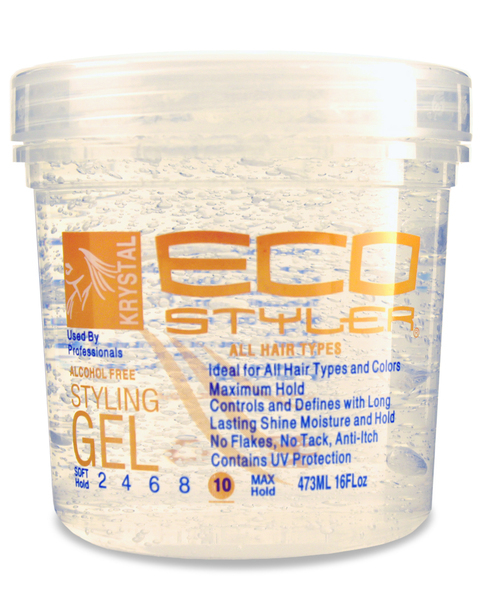 Do you use Eco Styler Gel? Do you find this list to be accurate? Share your thoughts. Now that my hair is getting longer, I'm back to using Eco Styler Olive Oil to seal my ends. I haven't figured out what I'm doing wrong when I use it throughout. I don't get flakes, but my hair lacks its usual sheen. LOVE Eco styler! The olive oil and the argan oil ones are my fave. I use the olive oil for my edges and mix it with my whipped shea butter for twist outs and braid outs. I use the argan oil one when I do extensions like my marley twists. It provides a strong enough hold to keep my marley twists from unraveling, but soft enough so that they're not dry or stiff. I've never tried the Krystal gel...can't deal with any sort of flaking and the olive oil lays down my edges just fine. I may try the argan oil get because I like to do wash-n-go but I can't stand that gel hard feeling. I need that fluff for my afro. I've never even seen the Krystal gel though. Weird! Nice review. I've tried the Argan Oil Gel because it was the only one available in Abu Dhabi. It's not my favorite because it flaked and it became crunchy. With your hair texture, you may really like the Argan Oil. My mom has Type 2/3 hair and it works very well for her. I don't count it strange that you haven't seen Krystal, lol. In fact, I had never seen it until a year or so ago when I asked someone what could hold down my baby hairs. LMBO! It's so funny that you mentioned mixing the gel with shea butter. Someone just told me they did that last night and they enjoyed that combination. I'm going to have to try that! Thanks for stopping by Kestrel! What kind of hair type do I have? I still dont know?!? LOL! I would say you are a 3. From what I've seen of your hair, possibly 3A or 3B. That would be my guess. It it helps, I'm more like 3C/4A. Have you ever used the LOC method before applying the gel? While my hair is wet, I apply oil, a small amount of leave in and then the gel. This helps it looks shiny and not flake as well. I don't really have a preference but I love to use the Argan Oil Gel when doing sleek styles like buns, etc. Since my hair is coarse it provides a nicer hold and sheen unlike the other gels. I prefer the Olive Oil. Works well with my 4c hair for puffs and on my edges. Can anyone tell me my hair type??? I think it is 4B but I am not sure! Also, best way to combat frizz??? Please thanks much! Hey Tracey! It's hard for me to make a definite determination without seeing more pictures of you, but here a guide from Naturally Curly: http://www.naturallycurly.com/hair-types Also, the best way I can fight frizz in the summer time is to ensure my hair is moisturized and by using a gel product instead of cream. Great post. I use the olive oil eco style gel but I am interested in trying the others. thanks the give many information this site ,as natural hair gel..